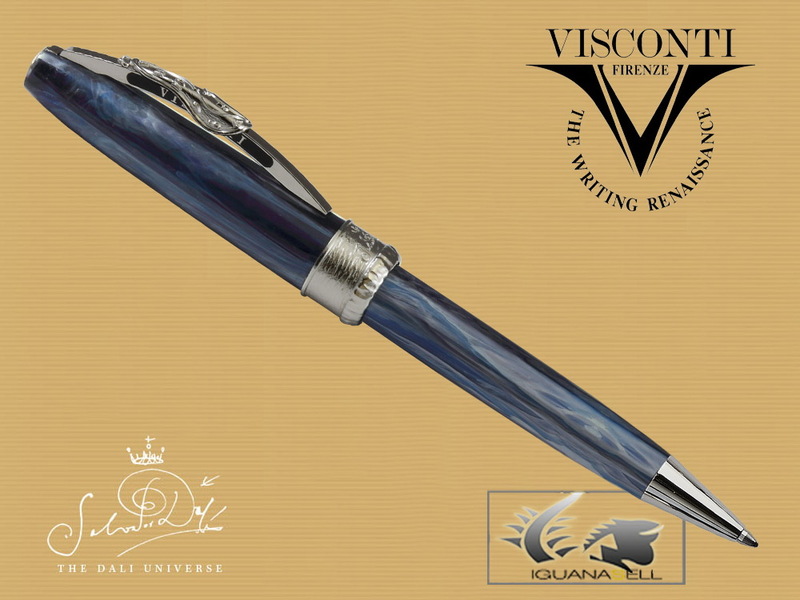 The Visconti Salvador Dalí collection reflects the main perceptions of one of the most famous artists of the surrealism movement. The melting clock, the round forms and the exotic colours are represented on each pen of the collection. A fine contrast is created by the beautiful variegated blue resin, which comes in a blend of different tones, and the chrome trims. All adapted to the idea of simulating the appearance of Dali’s work “Dance of Time I”. 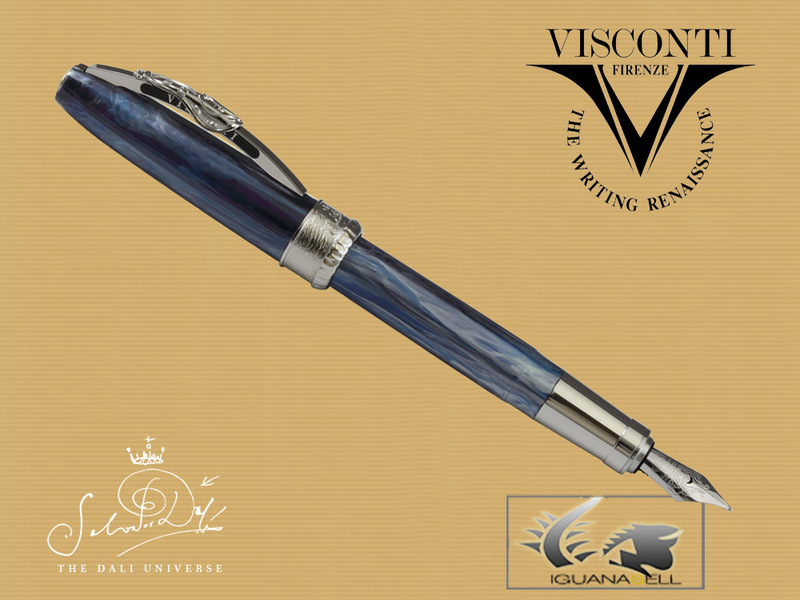 Visconti has created a magnificent writing instrument that covers Dali’s character and the wonderful relationship that he had with the pass of time and the perceptions of limitations. The fountain pen comes with a stainless steel nib and the patented double reservoir mechanism. Visconti’s magnetic closure system is also present, as well as the characteristic round clip which is decorated with a melting clock. The beautiful variegated resin creates an awesome effect which captures the surrealistic vision and style of Salvador Dali. The formidable Visconti Salvador Dali collction pens are presented in an elegant, brown box, which includes Salvador Dali’s signature in golden letters on the top. 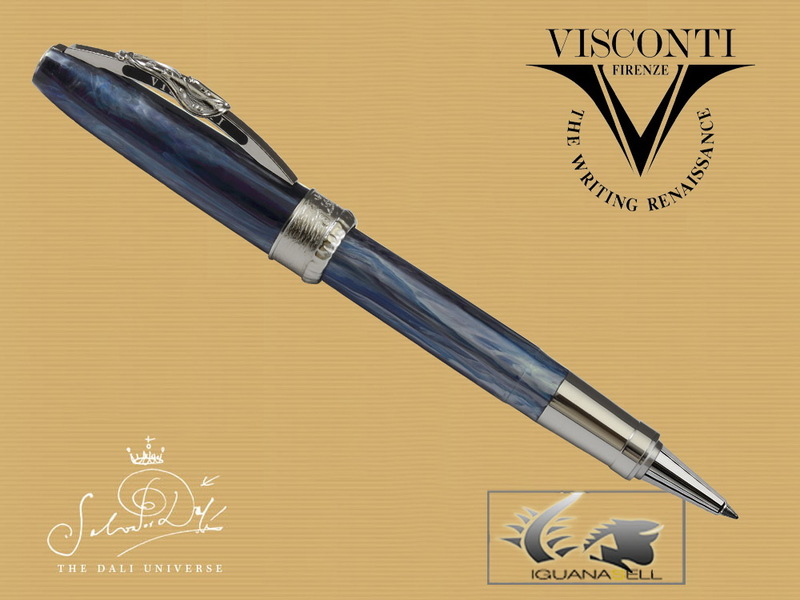 If you are interested in Visconti Pens, please feel free to visit our website!